Broms Technologies LLC mission drives technology into the toy market in new and exciting ways. ProtoBricks, the advanced building block, is the first line of technology evolved and advanced toys Broms Technologies LLC. 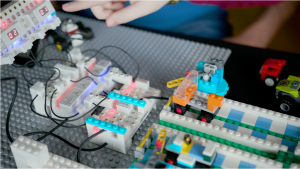 Broms Technologies LLC is determined to find new ways to teach children about electronics and logic. 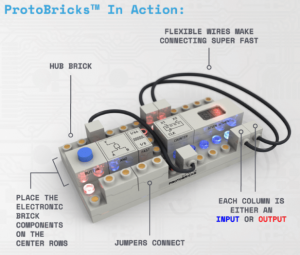 ProtoBricks is a building kit that lets anyone learn how to build digital circuits that snaps together on LEGO®-compatible bricks. 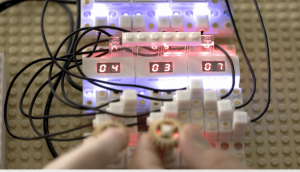 Children of all ages have the opportunity to learn about shift registers, binary numbers and power their imaginations. There are no tools, wires or programming. 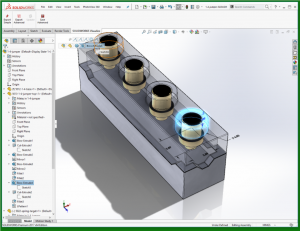 Broms Technologies LLC has spent seven years of research and prototyping to get to the current model. With technology becoming cheaper and cheaper, it has become possible to create innovative, cool toys that can keep children entertained for a life time. 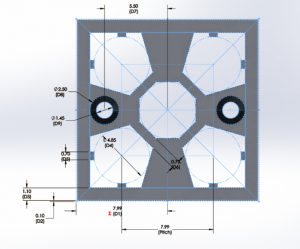 Broms Technologies LLC is preparing its next prototype products. Broms Technologies LLC is excited to be partaking in the Chicago Game and Toy Fair (ChiTAG) this November. 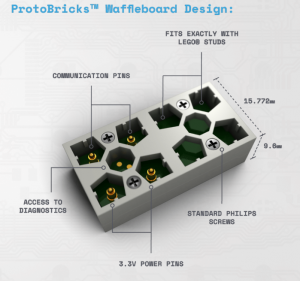 Protobricks is nearing commercializing. Inquires can be directed to joe.broms@protobricks.com. Thank you to Joe Broms and Broms Technologies LLC for being SOLIDWORKS Entrepreneurs and sharing with our community.